The face is perhaps the most important part of a person’s identity, which is why, it is important that you take good care of it. There are several treatments in the world today, which are aimed at improving the quality of the skin and photo facial happens to be one of them. The premise behind a photo facial is reasonably simple – a special kind of light is applied to the skin, and when it penetrates deep into the skin, it is able to treat brown spots, pigmentation, repair broken capillaries or even boost the amount of collagen in the skin. While a photo facial can do a lot to improve the condition of your skin, it is important that you combine it with a good daily facial care routine. LED (Light-emitting diode) – This is the type of photo facial that is offered by most spas and salons. A narrow spectrum light is used with the aim to boost the collagen, which in turn will allow the skin to look younger and plumper. The same process can also be used to kill the bacteria that give birth to acne. The process is painless and carries no risk of causing burns. Within six treatments, the effects should be visible, and the skin should look healthier and younger. IPL (Intense-pulsed light) – This treatment is meant to handle broken capillaries, brown spots, spider veins as well as facial redness. A very bright light with high levels of energy will be directed to the face, using a handheld device. The treatment is known to be uncomfortable and at times, even painful. Some devices might have a cooling device, but this will only reduce the discomfort a little. There is not much that you will be required to do before the procedure, apart from arriving well in time. Your face will be washed and cleaned thoroughly, before the procedure starts. There is literally no downtime for a laser photo facial, which means that you can go back to your normal routine within a day. 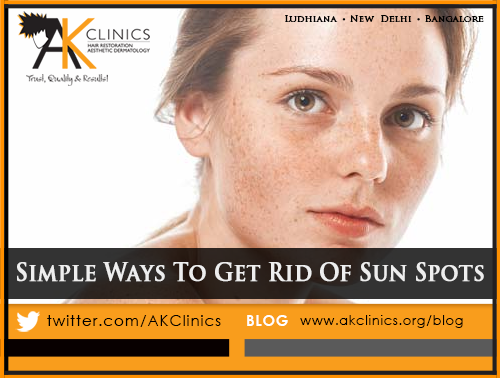 Immediately after the session, you might feel a little burning on your face, but it will last less than 24 hours. After the first two or three treatments, you will notice that your skin has a smoother and a more even tone. Over the next few days, the sunspots and pores will start to fade and even the wrinkles will start to disappear. If someone is suffering from acne, there will be a decrease in the redness too. What Does The Process Feel Like? Is There Any Pain? Most people consider this a part of a spa treatment, because with an LED photo facial, there is no pain. As a matter of fact, most people consider this relaxing, as there is a gentle warmth that is emitted by the device. However, there is a slight discomfort with the IPL photo facial, but no anaesthesia or sedation will be required. The procedure is most effective on the face and neck, but it can be used to treat scars on any part of the body. The same process can also be used to remove redness that might be prevalent on any part of the body. This is something that depends on your skin and your doctor. Normally, four to six sessions are required, but subtle changes should become visible after the very first session. What Precautions Will I Have To Take After The Facial? Nothing much actually, but you do need to make sure that every time you step out, you wear sunscreen. In addition, you might want to avoid heavy makeup for a few days, but if you must apply the same, make sure that you remove it carefully.